Participate in the BLocal BUILD College. Commit to 50 percent of new hires into full-time positions and internships being women or minorities. Increase spend with local and diverse suppliers by 10 percent in FY18 beginning in October 2017 and by 15 percent in FY19 beginning in October 2018. 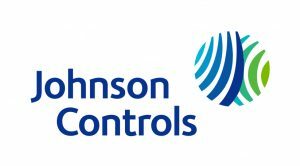 Johnson Controls is a global technology and industrial leader serving customers in more than 150 countries. Since our invention of the first electric room thermostat in 1885, we’ve been committed to delivering innovative products that help the world run smoothly, smartly, simply and safely. Building efficiency — with products, services and solutions to increase energy efficiency and lower operating costs for buildings worldwide. Batteries and energy storage — including advanced batteries for hybrid and electric vehicles, as well as stationary energy storage. Automotive seats that deliver superior quality and performance. We’ve grown tremendously during the past 130 years, both in size and market share. The secret to our success? Our values. We believe in going above and beyond to deliver value to our shareholders, help our customers succeed and be a good corporate citizen. In fact, Corporate Responsibility Magazine recognized us as the #17 company in its annual “100 Best Corporate Citizens” list in 2016. Johnson Controls joined BLocal during year two of the initiative. Johnson Controls will report on progress in 2018.